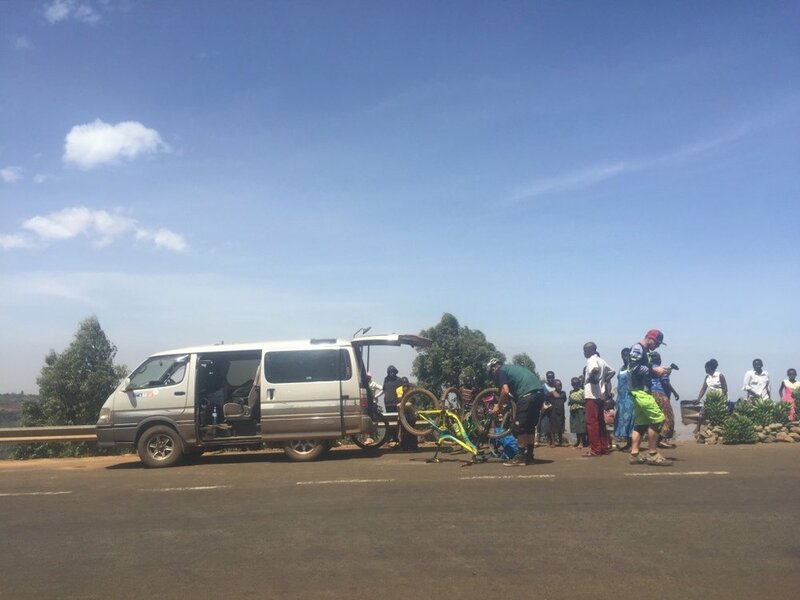 I was riding up the big tarmac hill in Sipi - I had taken some friends for a ride in the morning and was just about home from a afternoon solo lap on one of the downhill trails - the hill was for fitness - so I was just head down and spinning. Suddenly to my right 3 dudes come flying past on the back of boda-boda's - with Enduro bikes on their laps - I was taken aback! No one rides Enduro bikes in Uganda!! All the ex-pat riders from Kampala are the lycra clad XC type, these guys must be new to town. I got home, and after a quick shower jumped in my truck and set out to find them. After asking around in the village I tracked them down in Moses Camp. A quick howzit and turned out they were Czech - and we knew a friend in common - we made a plan to ride together the next day. In the end we rode for 3 or 4 days and combined our efforts on a film project we had lined up withe the Kara-Tunga Tours guys and a German Film crew they had in town over the weekend. It all worked out beautifully - we even found some new trails. I had to head to Jinja after a few days but the guys continued their journey North into Karamoja and a plan to explore the mountains up North. We're looking forward to see the video we managed to shoot and all the media that comes out of the trips! Big thanks to Petr, David and Panky for being super cool and awesome riders and for going with the flow and hooking up with us for an impromptu project! !